If you want to deviate from the norm with your wedding, sometimes you have to work with the details. Here are 5 great ways to take your wedding from normal to unique and wonderful! 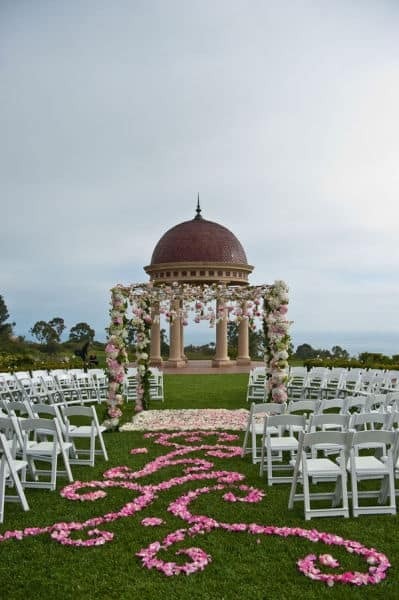 Use rose petals to decorate the aisle rather than have them strewn about. This is perfect for the couple who won’t have a flower girl at their wedding and it’s striking and beautiful! You can use any design you want; something that’s special to you or a simple and pretty design. Choose a dress that’s your favorite color and go with that rather than the traditional white wedding dress. It’s no longer taboo to wear colored dresses, in fact, many of Hollywood’s leading ladies are wearing colored dresses these days. 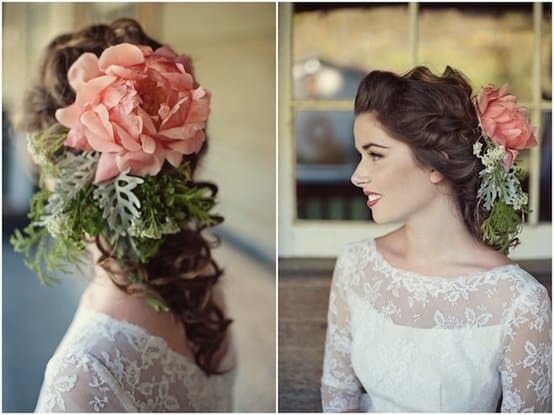 Skip the veil and wear a beautiful flower as a hair accessory. 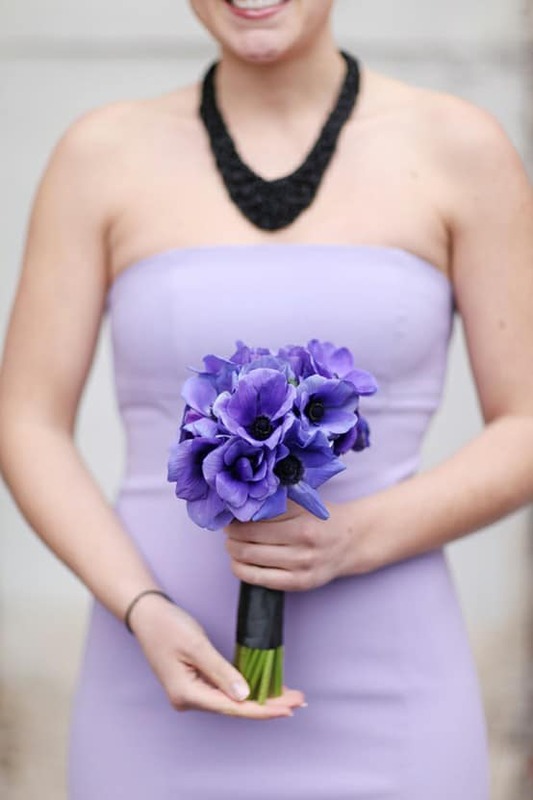 It can be your favorite kind of flower or just one that matches your wedding colors. It’s beautiful and unique. 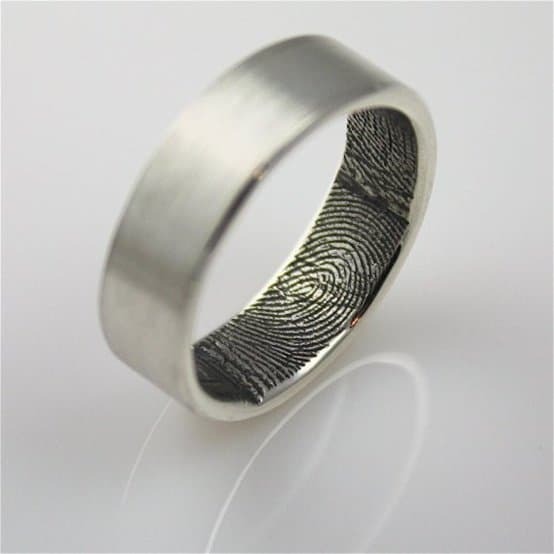 These unique wedding bands feature fingerprints of the spouse inside. His ring has her fingerprint while her ring has his fingerprint. It’s a really unique and cute way to carry your love with you always. Wear a crinoline skirt under your wedding dress. If it’s a bright color, it will peek out and provide a beautiful pop that is attractive and unique. Use these fun and unique wedding ideas to make your wedding memorable and beautiful. These are great ideas! I really like the floral isle. It looks very elegant and gives a new meaning to a red carpet entrance!